These super-sized scenes act as a wonderful focal point for your class. Use them at the start of your Letterland lessons to introduce each new letter. Listen to the audio CD as you show each page. Look for the vocabulary in the scene together. You might want to point to more vocabulary in the scene. Show the opposite side of the page when you sing the song. As you listen to the song point to the words so the children can start to follow and sing along. 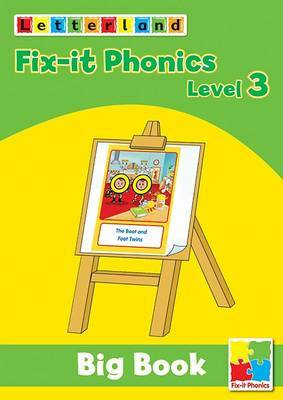 Oxford Reading Tree: Level 1+: Floppy's Phonics Fiction: Big, Bad Bug!